Stripe rust in a “striped pattern” on winter wheat leaves. 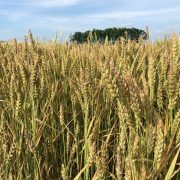 The Wisconsin Field Crops Pathology team has nearly finished all of our assessments of wheat and wheat disease for the year in Wisconsin. Winter wheat is well on its way to maturing. 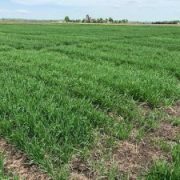 The few spring wheat acres we have seen have mostly completed anthesis throughout much of the state, with just a few late-planted locations still completing anthesis. 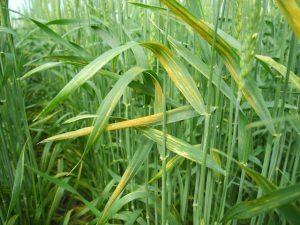 Overall, the spring 2017 wheat season can be defined mostly by the widespread presence of stripe rust. We have been in fields where stripe rust has caused significant widespread damage on susceptible varieties that were not treated with fungicides. We have also observed fields that either had a resistant variety, received a fungicide application, or both. These fields appear to be doing quite well and the crop will yield well. Clearly areas where we suspect that there was overwintering of the stripe rust pathogen, saw the occurrence of the epidemic very early, resulting in quick spread of stripe rust this season. We have completed rating of stripe rust in the wheat variety trials in Wisconsin and these data will be published later this year in the variety performance report. I would encourage you to study these results carefully and choose varieties that performed well in your area and had low levels of stripe rust. This is the second year in a row that we have had a substantial stripe rust epidemic and choosing resistant varieties is a cheap method of stripe rust management. We have also been looking for Fusarium head blight (FHB or scab) in commercial fields and variety trials. For a second year in a row, FHB incidence and severity is extremely low statewide. In many fields we struggle to find even one symptomatic head. 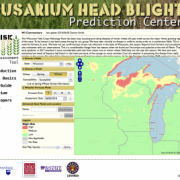 Fusarium head blight incidence in the far southwest part of the state is nearly undetectable and approaches about 1% incidence in fields in the north-central and northeastern portions of the state. I expect that DON (vomitoxin) levels will be relatively low in finished grain in Wisconsin, this season. The low level os FHB in winter wheat this season is likely due to the unseasonably hot, dry weather we had in early June, which coincided with anthesis in many wheat fields. This type of weather is not conducive for the fungus and likely resulted in very few successful infection events. Other diseases have been extremely hard to find. We have seen some fields with low levels of Septoria/Stagonospora, but in general these epidemics will not limit yield to a significant extent. Powdery mildew can be found infrequently on a few plants in some fields. In the southern portion of the state, we were able to find some leaf rust just this week. The arrival of leaf rust is likely too late to affect yield this season. We have not observed any stem rust in our scouting trips to commercial fields or in variety trials. 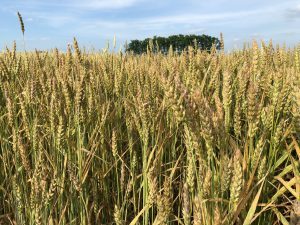 Many winter wheat varieties in Wisconsin are headed out and at, or will be at, anthesis (flowering) this weekend. 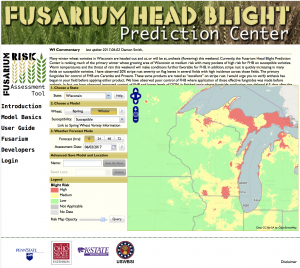 Currently, the Fusarium Head Blight Prediction Center is ranking much of the primary winter wheat growing area of Wisconsin at medium risk with many pockets of high risk for FHB on susceptible varieties (Fig. 1). Warm temperatures and the threat of rain this weekend will make conditions further favorable for FHB. In addition, stripe rust is quickly increasing in many fields on susceptible varieties. I have observed 20% stripe rust severity on flag leaves in several fields with high incidence across those fields. The primary fungicides for control of FHB are Caramba and Prosaro. These same products are rated as “excellent” on stripe rust. I would urge you to verify anthesis has begun in your field before applying either product. We have observed poor control of FHB where application of these effective fungicides was made before anthesis. 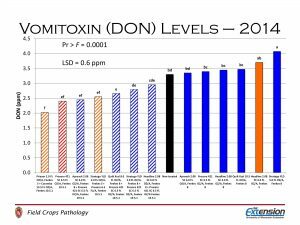 In fact, we have observed improved control of FHB and lower levels of DON in finished grain where fungicide application was delayed 4-5 days after the beginning of anthesis, compared to applications at the start of anthesis. Also, remember that application of fungicides should be made no later than 6-7 days after the start of anthesis. After this time, fungicide efficacy on FHB is much reduced. Finally, DO NOT use any fungicide products that contain a strobilurin fungicide after the “boot” stage in wheat. 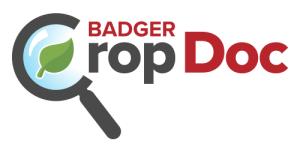 Some studies have demonstrated that using strobilurin fungicides at, or after heading, can result in increased vomitoxin (DON) levels in finished grain. Get out there and SCOUT, SCOUT, SCOUT! Figure 1. Severe stripe rust on winter wheat prior to head emergence. The Wisconsin Field Crops Pathology crew spent some time this past week scouting wheat and rating wheat variety trial plots, between planting soybeans and dodging rain storms. Despite the challenging week, the crew was able to get around to several sites and take a look at winter wheat. Wheat ranges from fully emerged flag leaf to emerging heads across the sites visited. As predicted, stripe rust is progressing to epidemic levels on susceptible and moderately susceptible varieties (Fig. 1). We were able to find many plots with stripe rust on the L2 leaf (leaf immediately below the flag leaf) with some varieties already showing 20% or more severity on flag leaves (Fig. 2). We were also able to find many varieties still showing no symptoms of stripe rust. 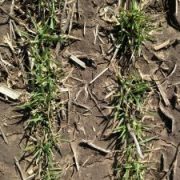 We also have had several reports of disease-free winter wheat across the state. Further inquiry suggests that many did their homework last summer and fall, and chose varieties with excellent stripe rust resistance. This will more than pay for itself this season in fungicide spray savings. Figure 2. Stripe rust on a flag leaf of winter wheat. We are quickly approaching head emergence and anthesis on many varieties in the state of Wisconsin. I predict that anthesis (flowering) will take place within the next week or so in Wisconsin. 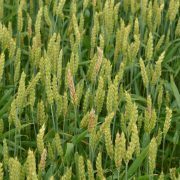 Farmers should focus on making a decision on fungicide application to control Fusarium head blight (FHB or scab). At this point, I think farmers should hold off on a fungicide application specifically for stripe rust. 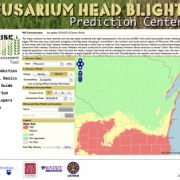 The major focus for fungicide application on winter wheat in Wisconsin should shift to managing FHB.  With this said, the two primary products that have performed well in Wisconsin for FHB, also perform well on stripe rust and are ranked excellent in the Small Grains Fungicide Efficacy Table. This means that spraying for FHB will also control stripe rust, as long as the stripe rust epidemic has not advanced to high levels on the flag leaves. 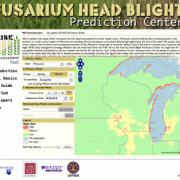 Currently, the Fusarium Head Blight Prediction Center is ranking much of the primary winter wheat growing area of Wisconsin at medium-to-high risk for FHB on susceptible varieties (Fig. 3). Plenty of rain and adequate temperatures are making conditions ripe for FHB in the major wheat production area of the state. The next 7-10 days poses a critical time to make a decision for fungicide application to control FHB and stripe rust. The primary fungicides for control of FHB are Caramba and Prosaro. I would urge you to wait until anthesis has begun in your field before applying. We have observed poor control of FHB where application of these effective fungicides was made before anthesis. 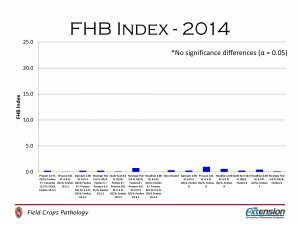 In fact, we have observed improved control of FHB and lower levels of DON in finished grain where fungicide application was delayed 4-5 days after the beginning of anthesis, compared to applications at the start of anthesis. Data from a fungicide efficacy trial to support this observation can be found by clicking here and scrolling down to pages 16 and 17. Also, remember that application of fungicides should be made no later than 6-7 days after the start of anthesis. After this time, fungicide efficacy on FHB is much reduced. Finally, DO NOT use any fungicide products that contain a strobilurin fungicide after the “boot” stage in wheat. 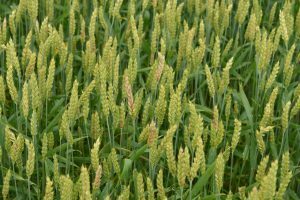 Some studies have demonstrated that using strobilurin fungicides at, or after heading, can result in increased vomitoxin (DON) levels in finished grain. Get out there and SCOUT, SCOUT, SCOUT!